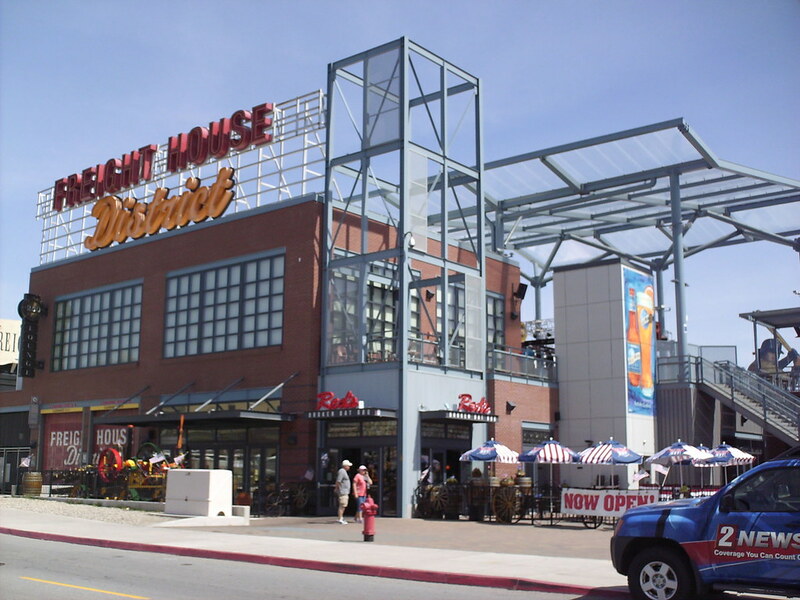 The Freight House District restaurant and retail space is attached to the ballpark and provides a place for people to congregate before, during and after a game. 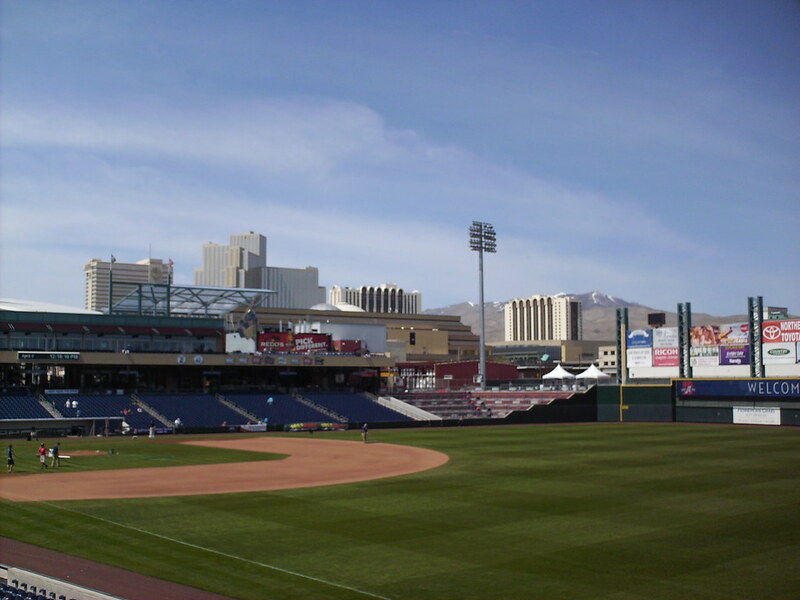 The view from behind home plate at Greater Nevada Field. 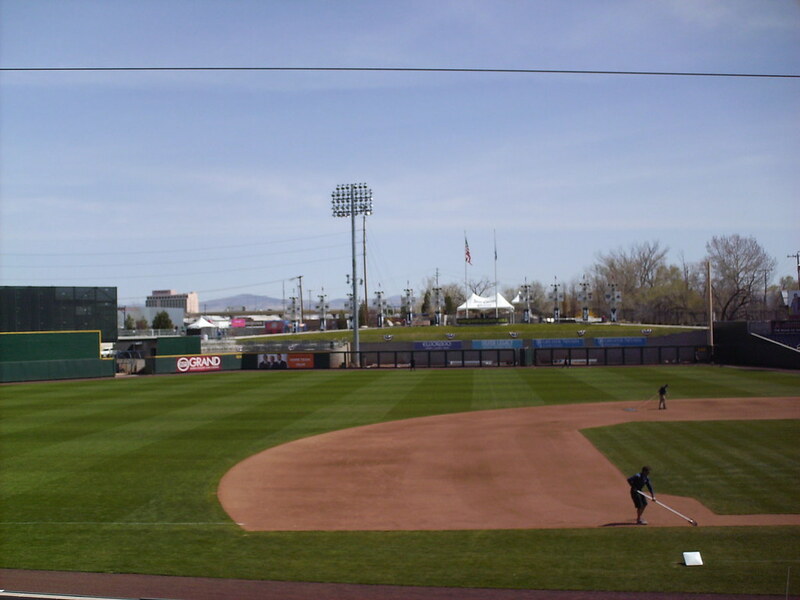 The grandstand at Greater Nevada Field, as seen from center field, with the Sierra Nevada mountains behind it. 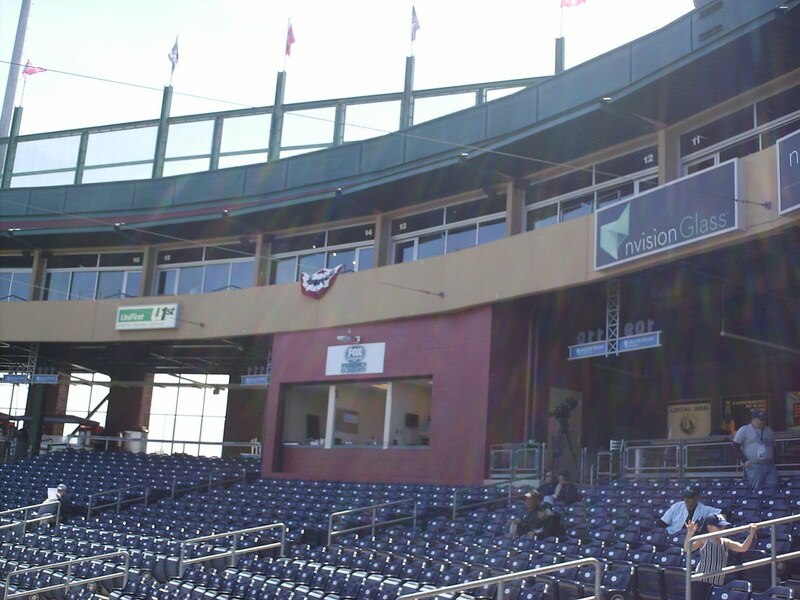 The pressbox sits on top of the main seating bowl at concourse level, with the luxury suites making up the second level. 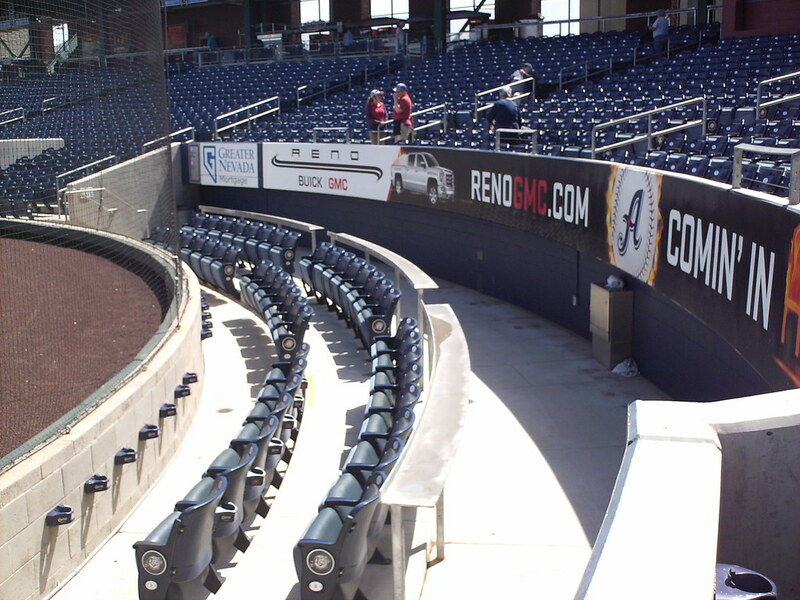 Several rows of premium seating sit behind the backstop, separated from the main grandstand. 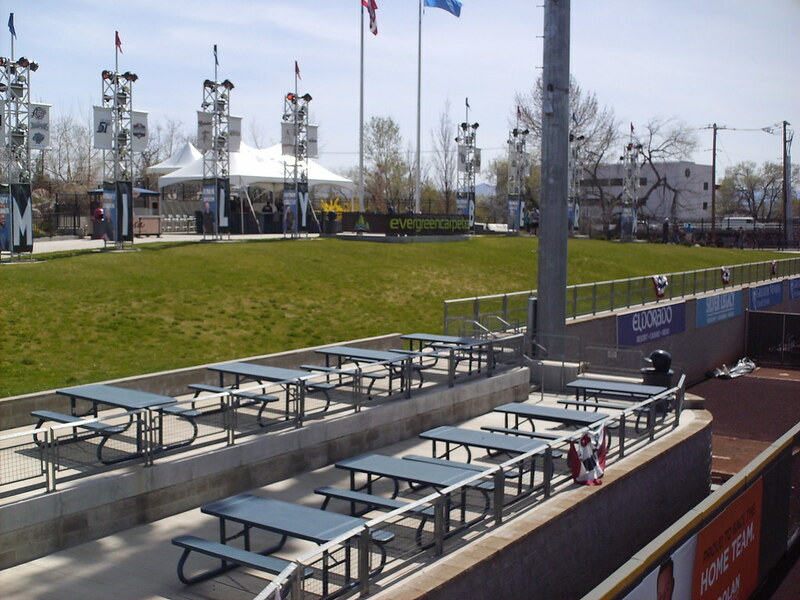 Picnic tables sit at the left field end of the grandstand. 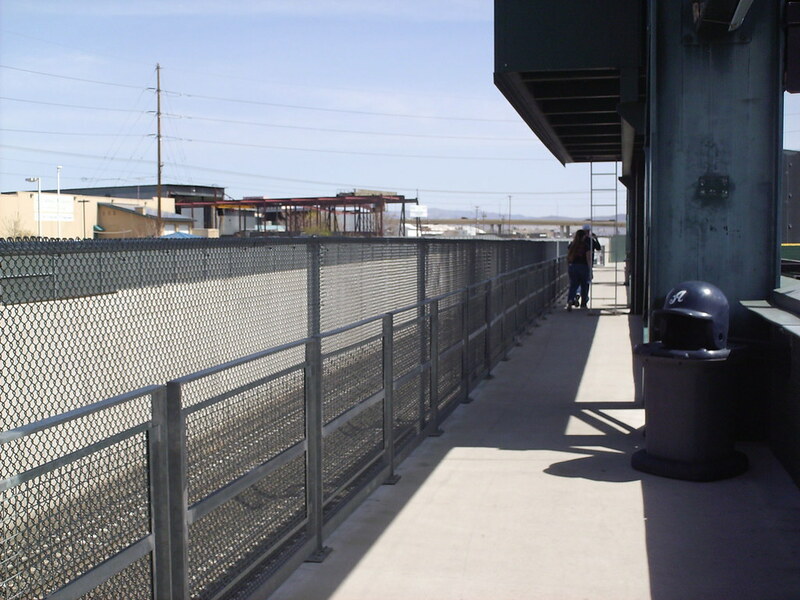 A second level party deck is connected to the Freight House District building. 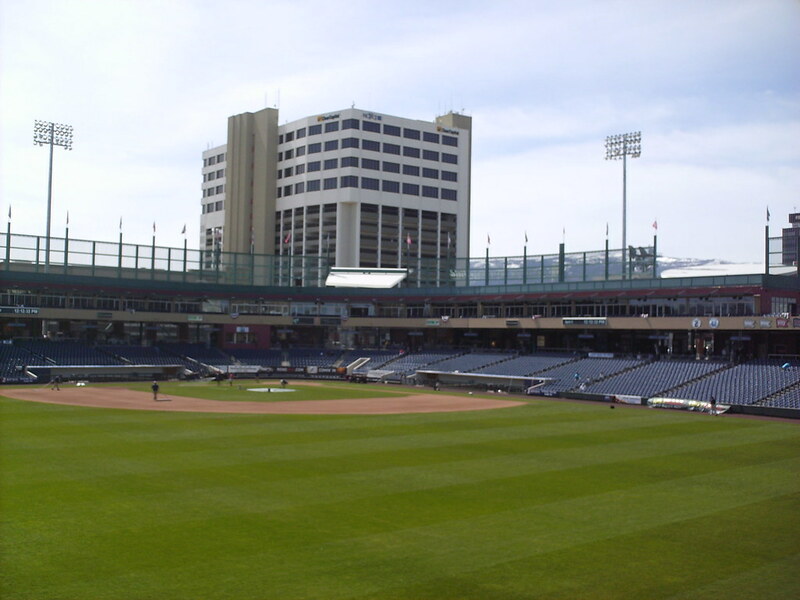 The casinos of downtown Reno tower over the third base side of Greater Nevada Field. 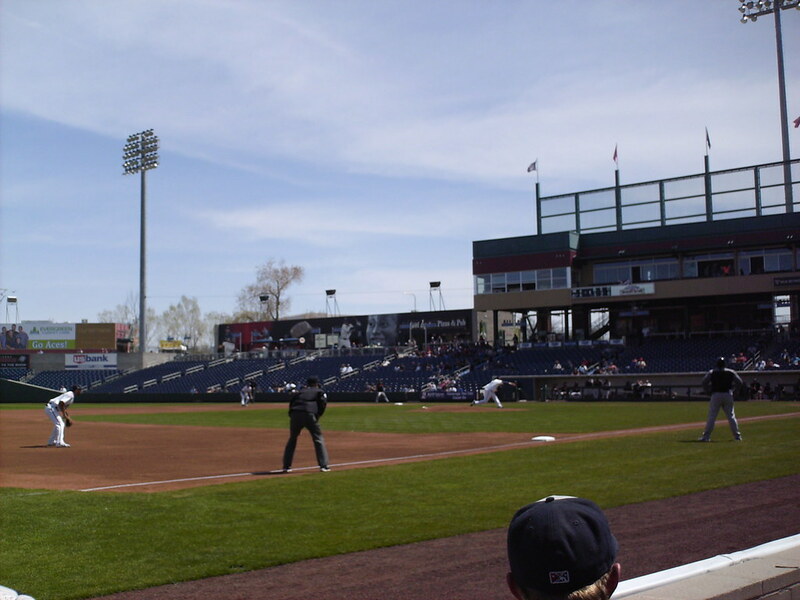 Picnic tables and a grass berm overlook the field from behind the right field wall. 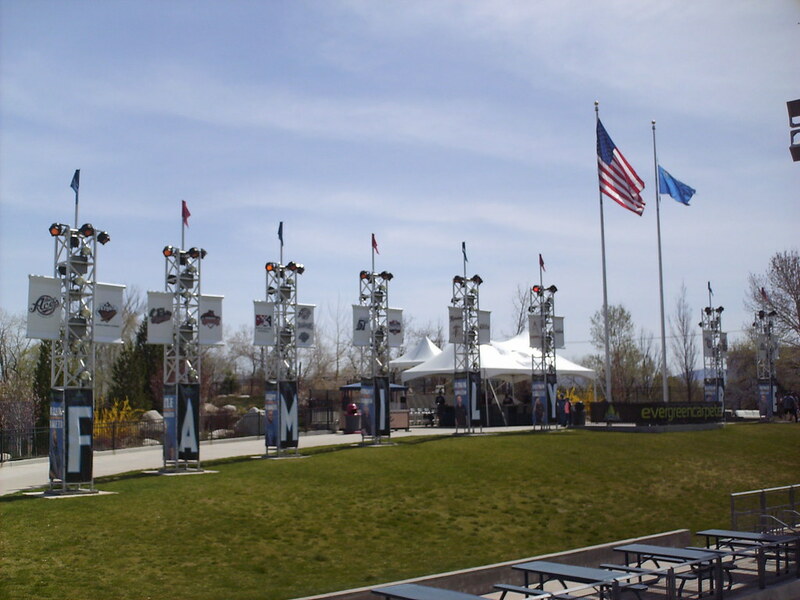 Light poles on the top of the berm feature banners for each of the Pacific Coast League teams. 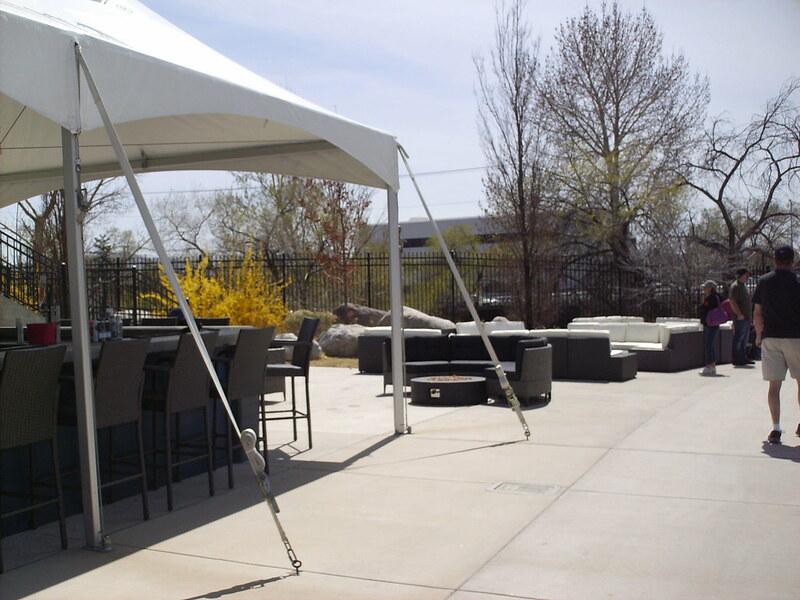 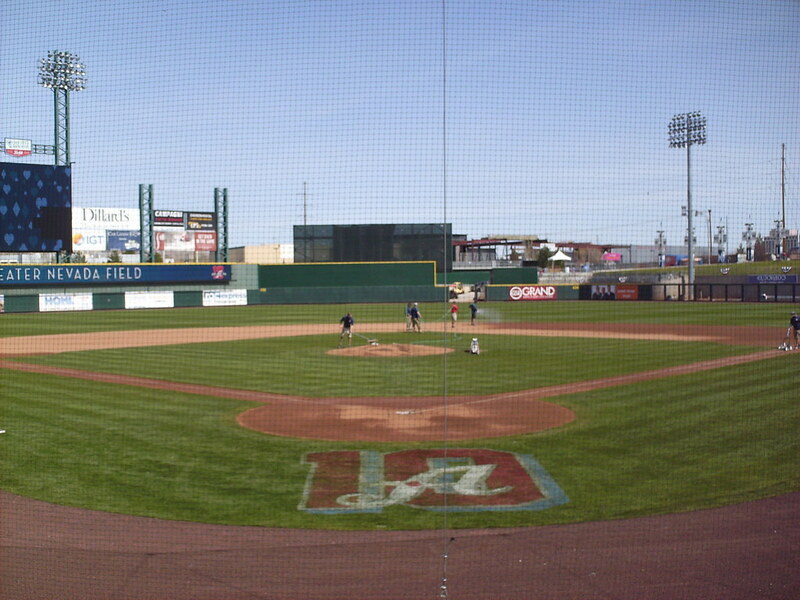 A landscaped party area with plush furniture sits on a hill behind the right field berm. 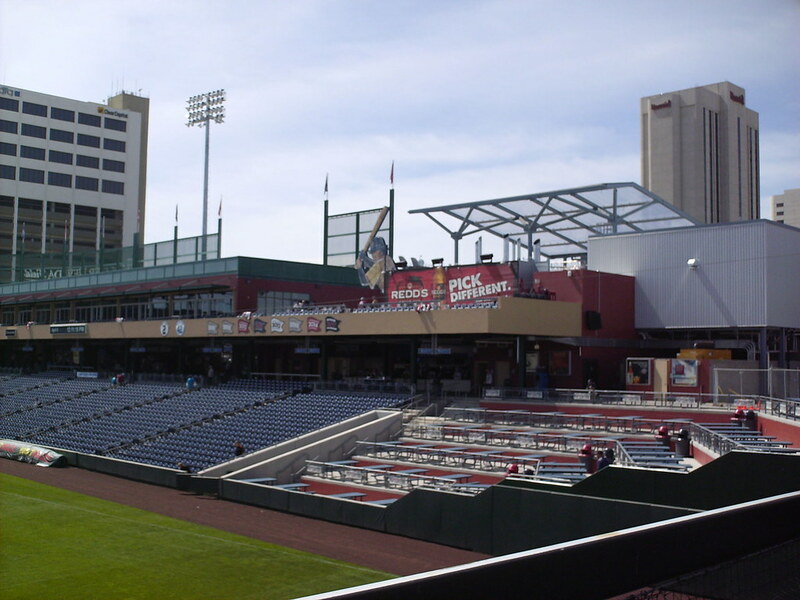 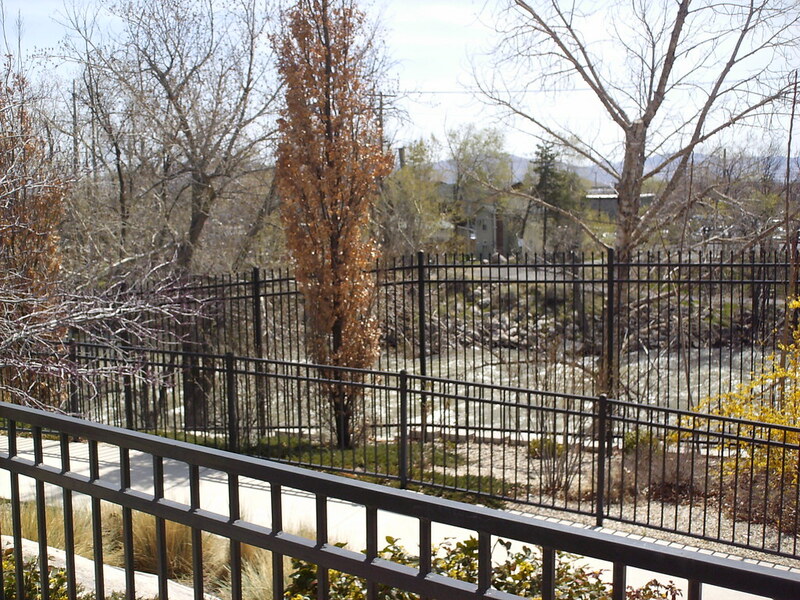 The Truckee River runs behind the outfield concourse at Greater Nevada Field. 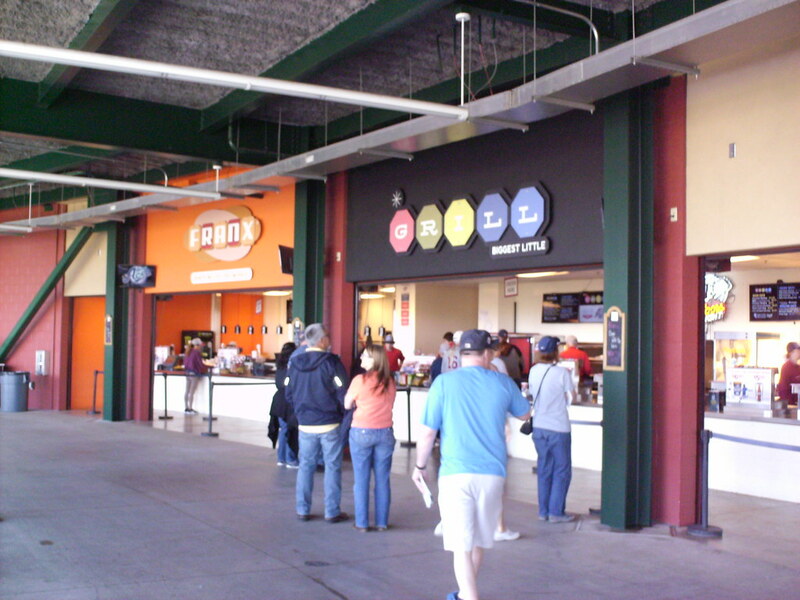 The outfield concourse runs underneath the scoreboard, with railroad tracks running behind the ballpark in left field. 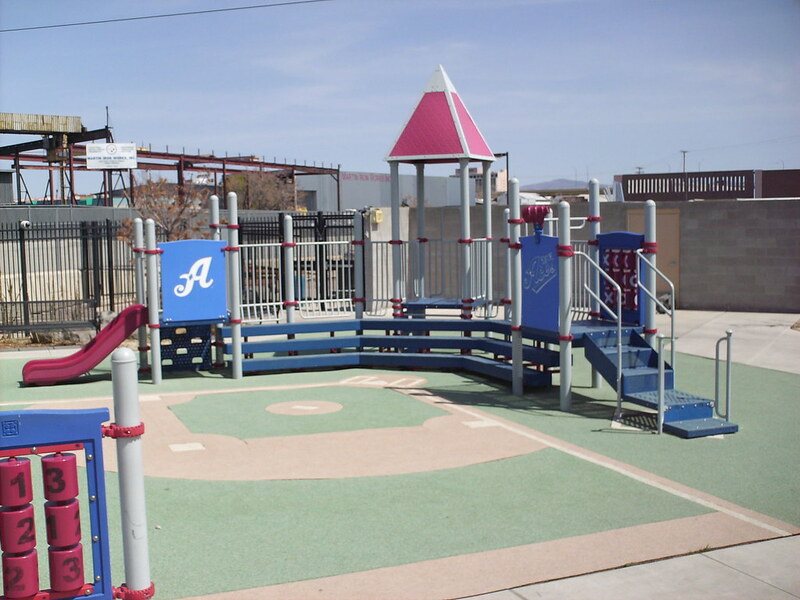 The playground apparatus also acts as a mini grandstand for the child-sized ballfield in the outfield play area. 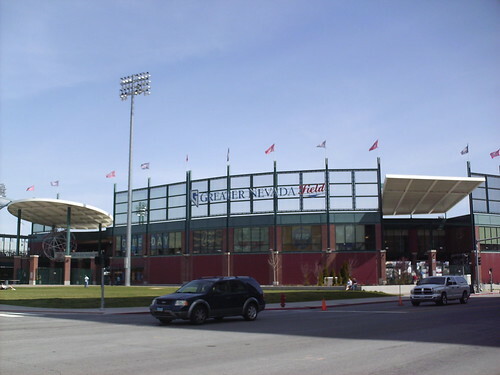 Concession stands like the "Greatest Little Grill" celebrate the city of Reno. 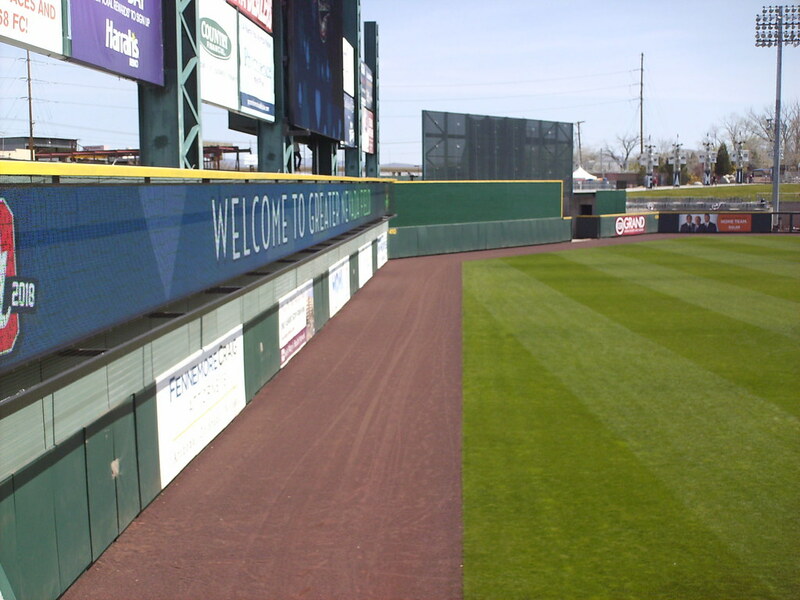 The outfield wall is much taller in left and center field than in right, and makes several sharp turns as it wraps around the field of play. 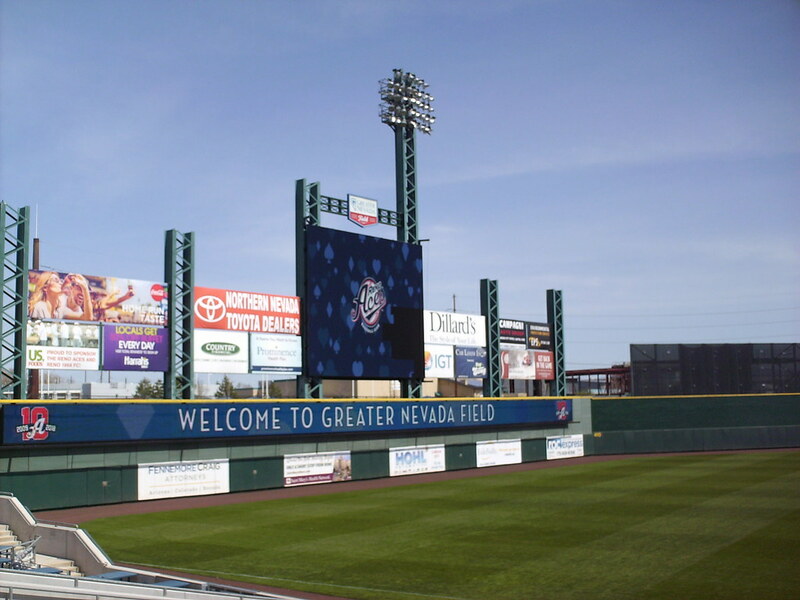 The scoreboard sits behind the left field wall at Greater Nevada Field. 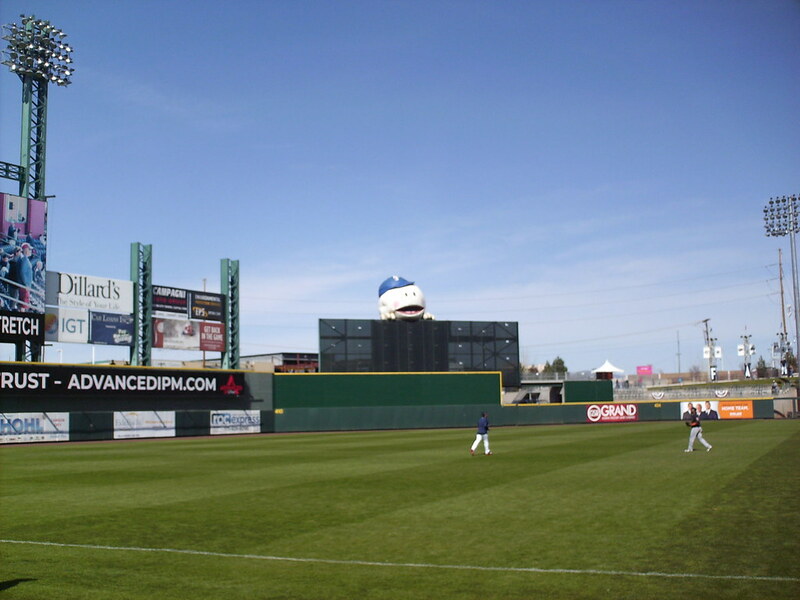 An inflatable baseball emerges from behind the batter's eye in center field to sing "Take Me Out to the Ballgame" in the 7th inning stretch. 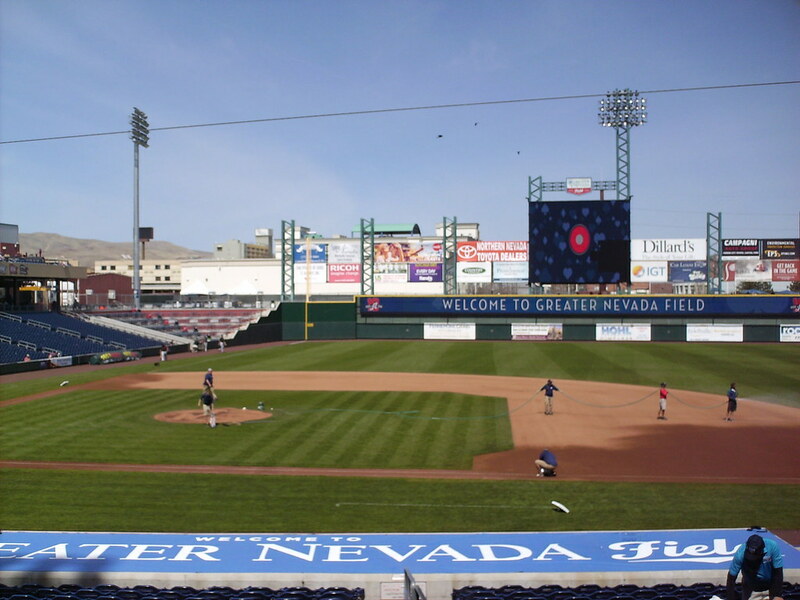 The Reno Aces on the field during a game at Greater Nevada Field.